I am sick to death of people asking me, as an owner and publisher of magazines, whether I’m doing it tough?’ or ‘Is it hard to fi nd people to advertise?’. I assume people ask this question because of the rise of internet based marketing and social media. What really annoys me more than the questions in the first paragraph are people that only understand social media that have the audacity to call themselves ‘marketing’ experts and only recommend to their clients that they ‘market’ themselves online. So getting back to the headline of this publishers note. My message is ‘Social media doesn’t work if it is the only form of marketing you are undertaking. A marketing plan should include, where appropriate, print, radio, TV, online, word of mouth, public relations and referrals’. 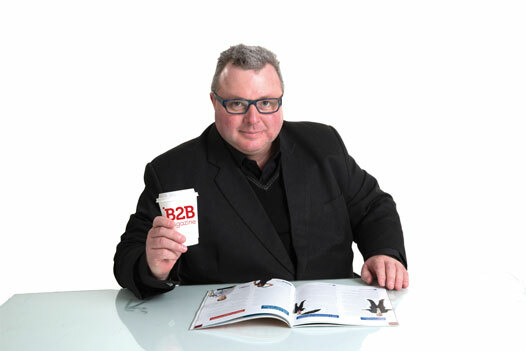 Please enjoy this issue of B2B magazine in print, on our website or through Facebook, Twitter and Linkedin … or on any of your electronic devices.